In January 2009, the life of engineer Michel Meunier, a professor at Polytechnique Montréal, changed dramatically. Like others, he had observed that the extremely short pulse of a femtosecond laser could make nanometre-sized holes appear in silicon when it was covered by gold nanoparticles. But this researcher, recognized internationally for his skills in laser and nanotechnology, decided to go a step further with what was then just a laboratory curiosity. He wondered if it was possible to go from silicon to living matter, from inorganic to organic. Could the gold nanoparticles and the femtosecond laser, this "light scalpel," reproduce the same phenomenon with living cells? 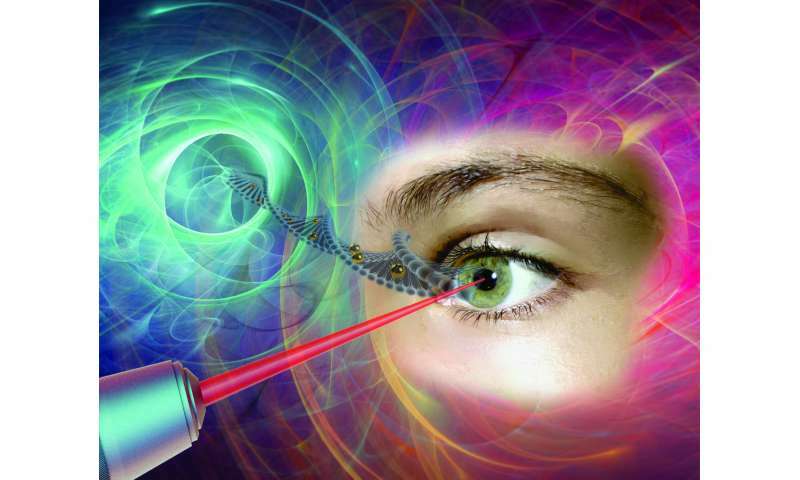 Using a femtosecond laser to treat the eye—a highly specialized and fragile organ—is very complex, however. The eye is part of the central nervous system, and therefore many of the cells or families of cells that compose it are neurons. And when a neuron dies, it does not regenerate like other cells do. Mike Sapieha's first task was therefore to ensure that a femtosecond laser could be used on one or several neurons without affecting them. This is what is referred to as "proof of concept." While there is still a lot of research to be done—at least 10 years' worth, first on animals and then on humans—this technology could make all the difference in an aging population suffering from eye deterioration for which there are still no effective long-term treatments. It also has the advantage of avoiding the use of viruses commonly employed in gene therapy. These researchers are looking at applications of this technology in all eye diseases, but more particularly in glaucoma, retinitis and macular degeneration.